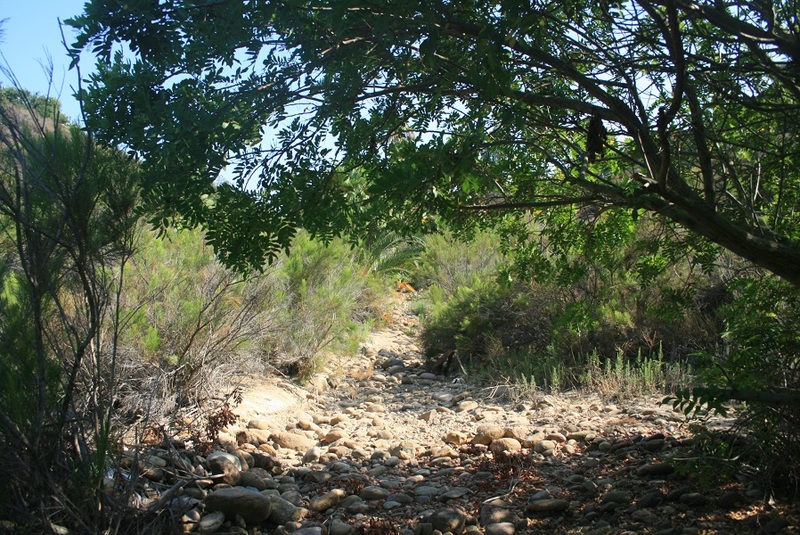 Location: Foothills north of Ojai. 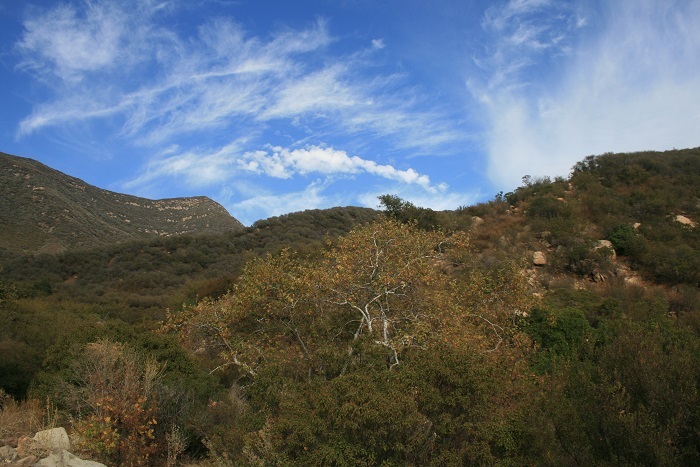 From Highway 101, take Highway 33 north for 13.2 miles to downtown Ojai. Follow Ojai Ave (Higway 150) for a mile and turn left on Signal St. Follow Signal St. for 0.5 miles to an intersection with Grand Avenue and bear left to stay on Signal Street. 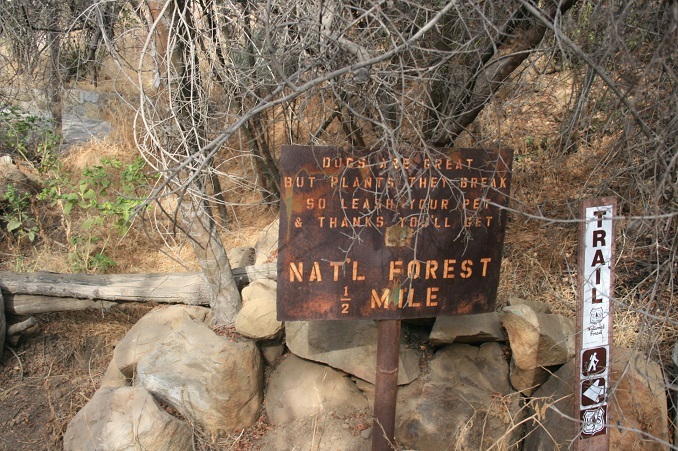 Follow it 0.4 miles more to the signed Los Padres National Forest trail head. Turn left and go 0.2 miles on a semi-paved road to a circular parking lot. 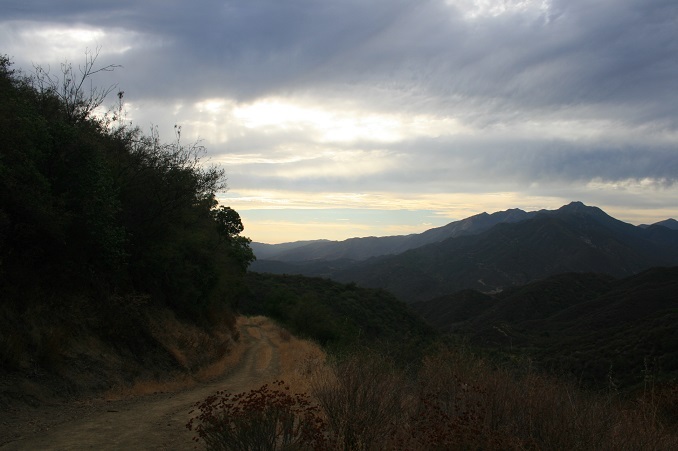 From Highway 126 in Santa Paula, take Highway 150 northwest for 16.7 miles. Turn right on Signal St. and follow it to the trail head. 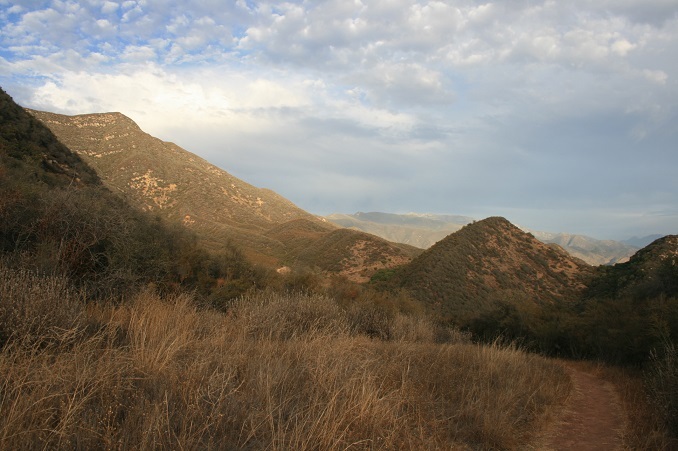 This challenging, scenic hike explores the foothills north of Ojai, providing excellent mountain and valley views. 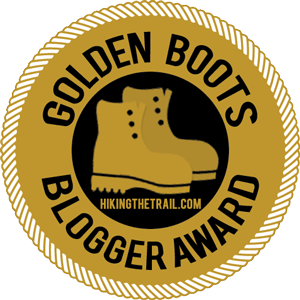 The lower portion of the Pratt Trail, which starts at a debris basin and weaves through several private properties and service roads, might not be all that inspiring, but once you get higher up, the scenery becomes well worth the effort. 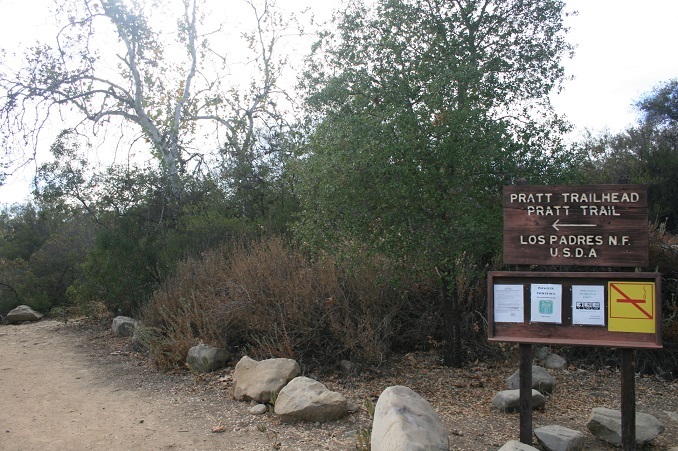 From the parking area, follow the signed Pratt Trail as it makes its way past the debris basin and through a grove of eucalyptus trees. 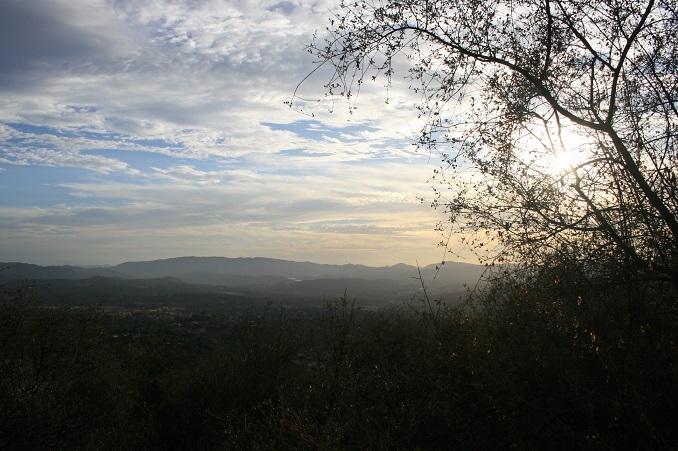 Much of the view is blocked by chaparral, although you do get an occasional glimpse of the valley below. After crossing two service roads, you merge onto Foothill Road and follow it a short distance to a gate (just under a mile from the start, and about 550 feet higher). Just beyond the gate is a water tank, and it’s here that the loop portion of the hike begins. 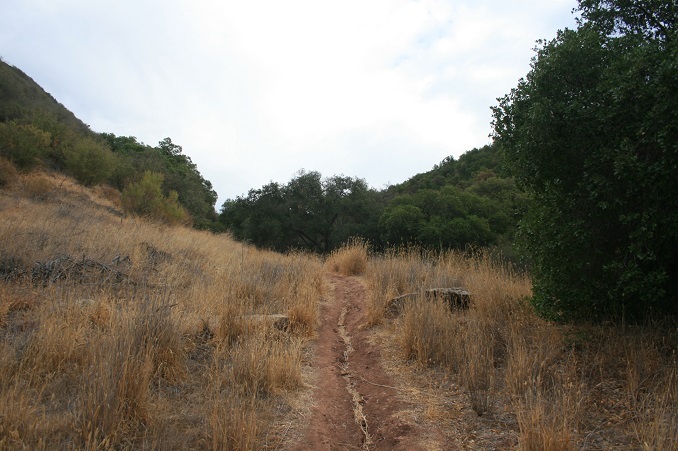 If the temperature is high, consider heading left on the more moderate Foothill Trail. If it’s a cool day and you want to get most of the elevation gain behind you quickly, continue on the Pratt Trail, as described here. The counter-clockwise route is good too if you get a late afternoon start; the sun will be hidden by Magic Mountain to the west of the Pratt Trail. Continue your steady climb, staying straight as the Fuel Break Trail branches off to the right. 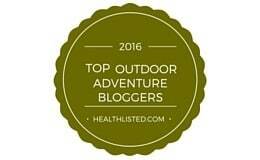 At about 1.5 miles from the start, the trail briefly levels out as you enter a grove of oaks. Keep an eye out for a short trail leading to a picnic table beneath a sycamore. The ascent resumes, reaching a saddle two miles from the start. You now get a nice view to the west, and the majority of the climbing is behind you. The Pratt Trail makes a hard right and continues uphill but your route descends, following the north slope of Magic Mountain. 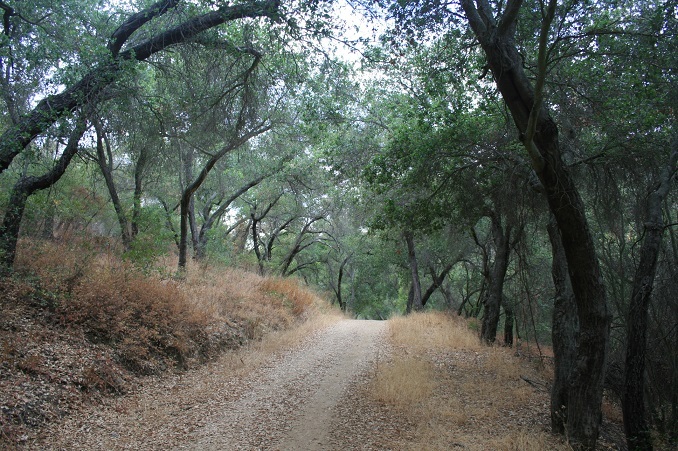 After a quarter mile, take a hard right and continue the descent, making an S-curve into oak-shaded Cozy Dell Canyon. 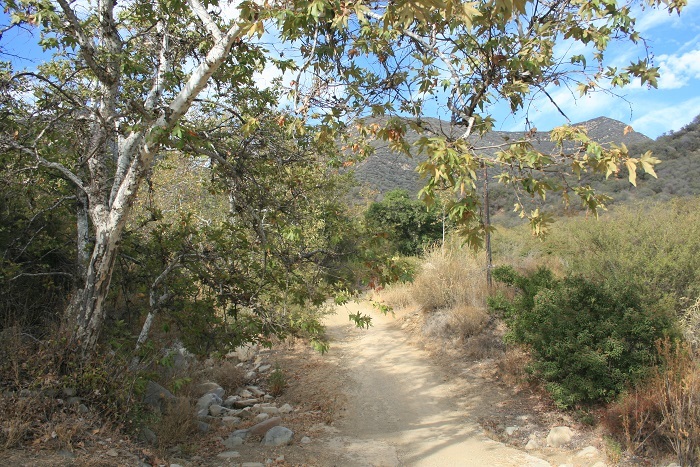 Leaving the woodland, make a hairpin left turn on the signed Foothill Trail (just over 3 miles from the start). You make a short but steep climb, gaining 250 feet in less than half a mile and arriving at a meadow. From here, the trail follows a basically level profile along the ridge, with a few glimpses of the valley to the south. 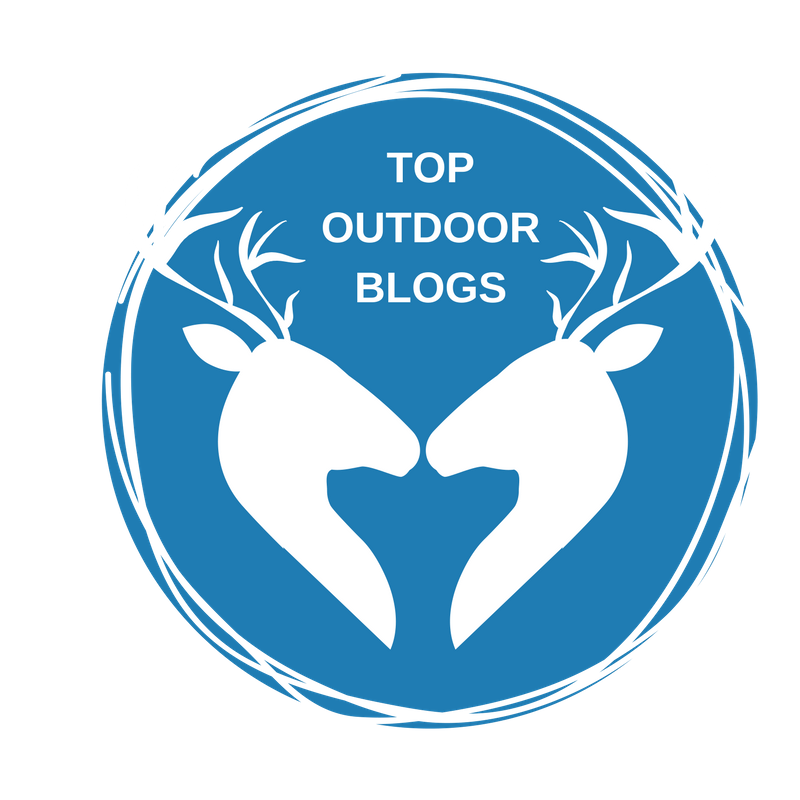 One more ascent brings you to a saddle where you can see the higher peaks of the Topatopa range to the east. From here, you make a steep descent to a T-junction. Turn right on a connector trail leading back to the Pratt Trail and retrace your steps a mile down the hill to the parking lot.